As we were looking along Dong Koi for a money changer, I realized that I brought the wrong bag. My roomy woven beach bag (WTH was I thinking right? ), didn’t feel secure being held by hand and could also not be secured under my arms. I felt vulnerable while walking along the street after having been warned of the petty theft that occurs regularly. And as an answer to my prayers I found Cincinati Leather Boutique! Super soft & perfectly slouchy, but still able to stand. Instead of buying a cheap one-trip-use bag, I decided to be practical and get the real deal which with proper care can last me a lifetime. What makes a great travel bag for me…. Straps long enough to sling over my shoulders, so I can tuck bag securely under my arm. Has the versatility to go from airport and shopping to not-so-formal-dinner. For travel I like bringing only 1 travel bag (for airport and daily use) and 1 clutch which I use only if we go to a more formal dinner or clubbing. 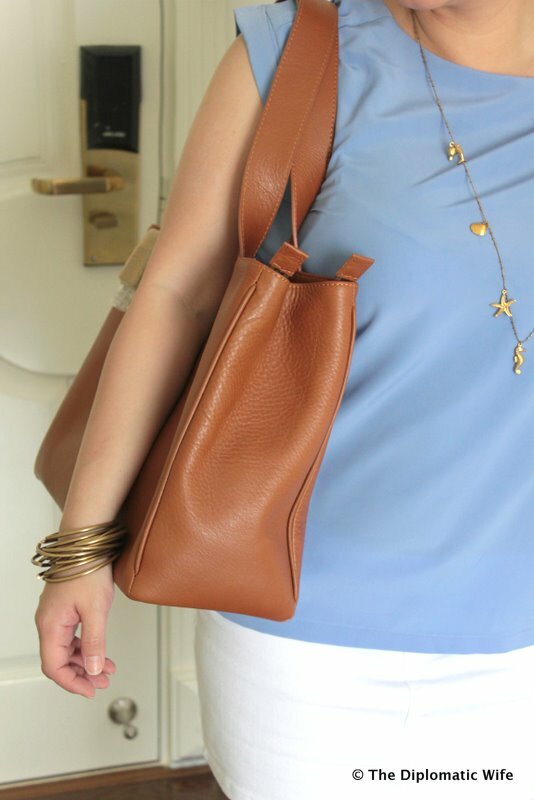 I was so lucky to find a gorgeous bag that met all my requirements in Cincinati Leather Boutique. It was better to invest in a quality bag, than to tempt theft with my impractical native bag (which is perfect for Bali but is a definite no-no in HCMC). Losing ones wallet can totally ruin our vacation. 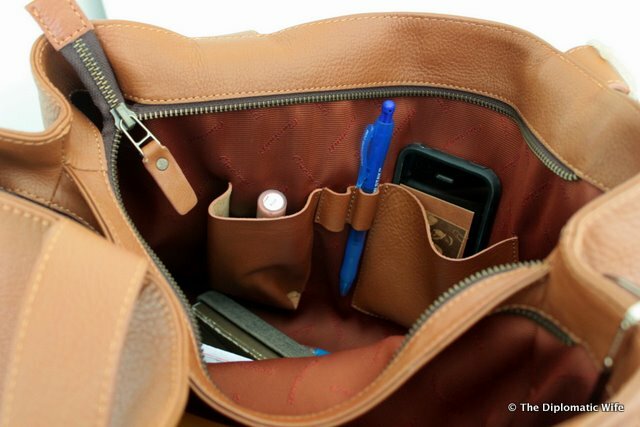 Love the little pockets inside for quick grab of makeup, mobile or pen! Leather is known for its durability and can last a lifetime if taken proper care off. A proper care of leather keeps it protected from excessive dryness and prevents it from moisture that may cause swelling or mildew. 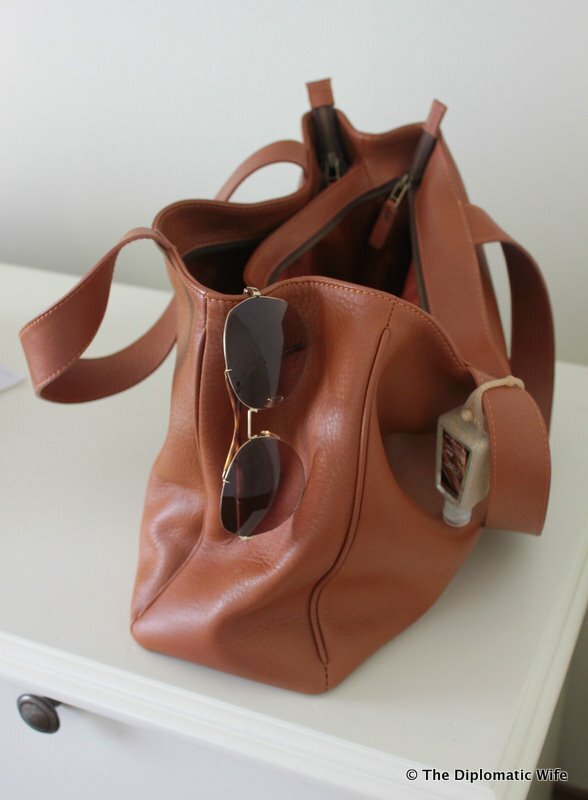 The following things need to be done to make your leather bag a lifetime accessory. In a dry environment, regularly condition the leather to prevent from drying out and cracking. Caustic household chemical should never be used to clean leather. Turpentine and mineral spirits must be avoided. No wax or silicone should be used on soft leather. A dampened cheese cloth and leather conditioner should be used 3 or 4 times per year. Cincinati products are created for customers that are looking for classic and original beauty. All products are made with excellent Vietnamese craftmanship using the best of natural genuine leather such as cow, goat, sheep, horse, fish, snake and crocodile. Cincinati guarantees lifetime quality with accessories from the best suppliers in the world. This bag was a bit expensive at VND 3,872,000 or USD 186 est. but definitely worth every single cent for the great quality & super soft leather! You went to HCMC!! I remember Dong Khoi St! Your leather purse is a great buy. It is gorgeous. It looks good on you, too and I love those handy pockets, too. Thanks Kaho! I am so lucky that we found a design that I liked because I told TD I didn’t wanna buy just because – I have to really love the bag. And out of all their design this was definitely it! Again thanks for you lovely posts and tips on Vietnam!